The easiest way to limit your carbs, is to cut things like pasta completely out of your diet. We all enjoy a pasta meal with a great sauce. The "pasta" however doesn't have to be wheat or rice. One of best alternatives to wheat pasta is vegetable pasta. 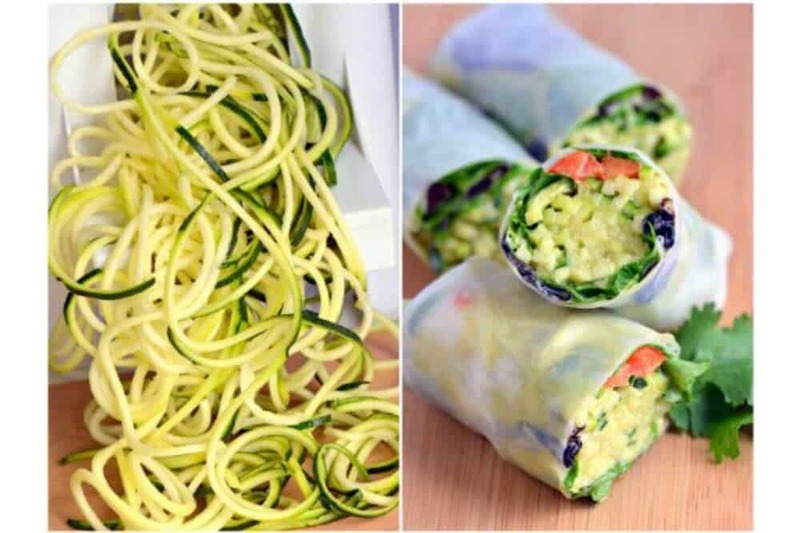 Zucchini noodles is probably the best known and easiest to prepare with the right kitchen tool. And that is the point, you need the right spiral veggie slicer to get the job done. It is possible to make them by hand, but it takes a long time and you just can't get them as stringy as you need them. Depending on your requirements, you can also pick one up for a relatively low price. So here they are - our 5 best spiral vegetable slicers. Okay - just want to know which is our favorite go straight here. Want to know more about these spiralizers? 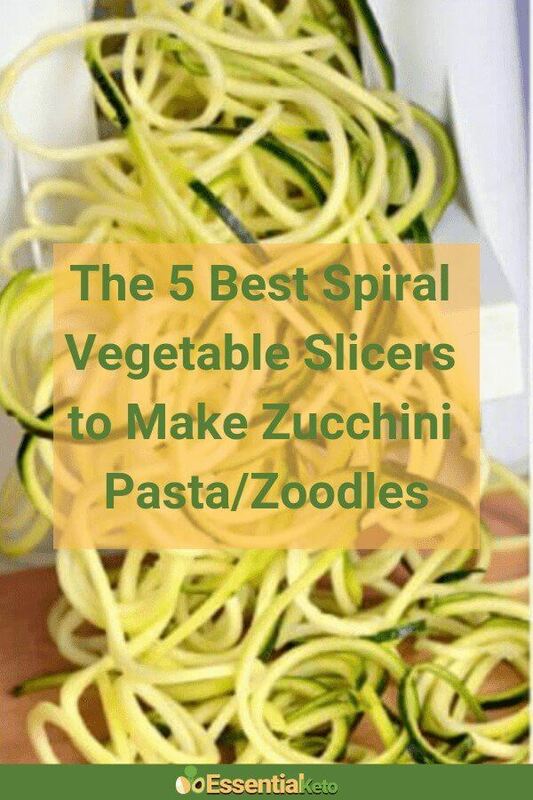 The spiralizer 5 blade vegetable slicer will allow you to create decorative ribbons, curly sweet potato fries, all types of garnishes for your meals and most importantly the perfect zucchini noodles. The five blade system can slice through almost every type of fruit or vegetable you can put into it. The unit can accommodate vegetables that are up to 7 inches wide and 10 inches long. It is made from 100% BPA free reinforced plastic. With this new improvement you can cut sweet potato fries without worrying that the handle will break. And even if does break, the lifetime replacement policy have you covered. This version can be secured to your counter top or table top with its suction cups and requires both hands to slice vegetables. Well reviewed online seemingly with many happy owners. Check out some of those reviews here. This vegetable spiralizer is for the individual who wants to do more than make zucchini spaghetti and curly fried sweet potatoes. The Paderno World Cuisine spiralizer with four blades will allow you to do a lot more with your vegetables than that. Use this spiralizer to slice your vegetables, shred your vegetables and create ribbon cuts and chips. The different blade sizes are made for different slicing needs and offer a lot of versatility when compared to other vegetable slicers. This food slicer has proven to be very efficient at holding the food securely while it is going through the blade. The three blades offer spaghetti-like spiral strands, thick spirals and long ribbon-like strands. Paderno is a trusted brand that has been around since 1925. They have been making kitchen tools for a long time and brought out their first spiralizer more than 15 years ago. The WonderVegspiralizer is a three blade option. The blades are made from stainless steel and they offer shredding to create long spaghetti like slices, chipping to create long and thick strands along with a straight blade that creates ribbon like slices great for potatoes and sweet potatoes and for creating snacks. This design has suction cup feet to help secure it to your table or counter for stability so you can easily operate the unit. Your hands also never get anywhere close to the blades so you know it is safe to use. The frame is made from plastic that is BPA free and it is great for use with all types of fruits and vegetables including pears, apples, beetroot, cucumber, carrots and zucchini to name a few. It is about the size of your typical counter top mixer so it won’t take up too much space on your countertop. This handheld model is compact and easily stores away. It has a double blade design allowing for spaghetti like slices as well as ribbon type slices. These handheld veggie slicers have been around for a long time. It now features an all new design with an improved cap substantially increasing the slicer’s ability to use more of the vegetable and waste less. You don’t have to worry about jamming or clogging. You will love that the appliance is easy to clean and it is dishwasher safe. The manufacturer even includes a cleaning brush along with a hand slicer, bag, downloadable eBook chock full of recipes and even instructional videos as bonuses with your purchase. It is perfect for anyone wanting to experiment with making zucchini noodles, but don't need to make big batches of noodles. This vegetable slicer is one of the stronger models you will find on the market. This heavy duty spiralizer is great for all your veggie pasta recipes, low carb recipes, gluten free recipes and paleo or keto meals. It is very well priced and you get 3 exclusive eBooks with a load of recipes for you to try. The machine comes with a lifetime replacement guarantee so you can make this purchase with the utmost confidence. With three stainless steel ultra-sharp blades this unit can chip, shred and slice all kinds of fruits and vegetables with ease. The unit itself has a removable design so that it can be easily stored and transported without taking up too much space. It is compact and comes in a funky green color. The forward handle is made with heavy duty, reinforced stainless steel for extreme durability. All plastic parts are made with food safe, reinforced ABS, BPA-free plastic. Overall the appliance is easy to operate and easy to clean as it is dishwasher safe. When choosing a spiral vegetable slicer you'll find that most of the offerings on the market don’t require electricity and work manually instead. Our comparison here is focused on manual devices, which is generally much more popular than electric spiralizers. If you prefer an electric one, this one seems to be the most popular. In this manual category, you'll find many handheld devices but there are also those that can be secured to your tabletop or counter top with the use of suction cups. When deciding on which zucchini noodle maker to buy, an important consideration should be how often you will use it and for how many people you will be cooking. Basically, are you looking for a work horse or a kitchen gadget that you want to use occasionally? Doing your research on the different design types on the market you will find that these kitchen tools are extremely popular. Years back when I came across veggie spiralizers the first time, I kind of thought that this is a novelty product that won't be around for long. Wow, how wrong was I! 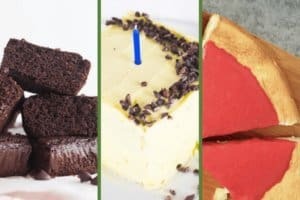 What is making them more popular than ever before, is people eating fewer carbs and looking for innovative ways to incorporate low carb vegetables into their diets. When looking at buying a new kitchen tool or gadget 🙂 for that matter, I like to read the reviews and check out the product ratings. I like to know that the product I am interested in has a money back guarantee and obviously I am happy if delivery is for free with Amazon Prime. At the time of writing this review all these products are part of the Prime program. Always double check though. A good vegetable slicer is one that is made with high quality materials so they are strong. Not only do you want the unit itself to be made from high quality materials you also want the blades to be made from high quality materials as well so they can really manage all types of vegetables. You will want a versatile unit that can provide you with different slicing styles such as tight spiral curls, julienne cuts and pasta style tubes. You can get added value for money with units that come with storage containers and cleaning tools. If you are a bit of a clutch like me, then safety is very important. These blades are incredible sharp, so you probably want a spiralizer where the blades are self contained. When it comes to price you can find slicers all over the spectrum so it shouldn’t be hard to find one to fit into your budget. Not sure if you really need one? Then read this article about why it is a restaurant chef's best friend. Not looking for another kitchen tool, but rather an add on to your KitchenAid mixer? Then you are in luck as KitchenAid has introduced a spiralizer attachment with a peel, core and slice function to both their KSM1APC and KSM2APC models. When you decide to cut out carbs, you will find that vegetable slicers are not just another kitchen gadget, but actually a needed addition in your kitchen. They are affordable and are a great way to kick start a healthier low carb diet and to even get your family members interested in eating more vegetables and best of all they are fun and easy to use. The best spiral vegetable slicer for you is the one that fulfills your needs and fits best into your kitchen. If you are looking for a starter model and don't have much extra space in your kitchen then try the handheld Spiralife. If however, you want a work horse that can make big quantities and at the same time can shred vegetables like cabbage, then check out the Brieftons tri-blade spiralizer by clicking on the button below. It offers great value for money. If you find our reviews helpful, why not share them with your friends?